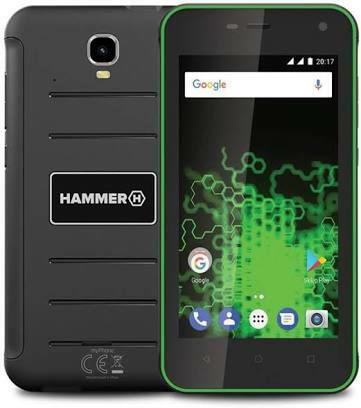 The MyPhone Hammer Active has been launched with IP68 certifications. The company is known for making rugged devices and they are quite on a roll, releasing these affordable beauties. Gone are those days when you have to spend much to own a smartphone that’s water resistant. This company makes it easier for anyone to own such rugged devices. 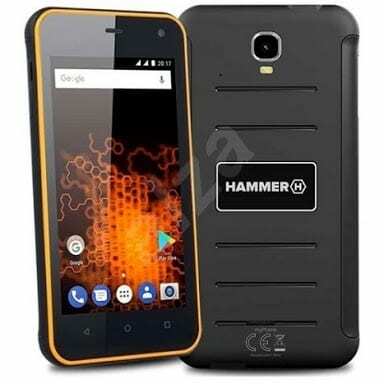 The Hammer Active is a strong device on the outside and packs 3000mAh battery on the inside as well. 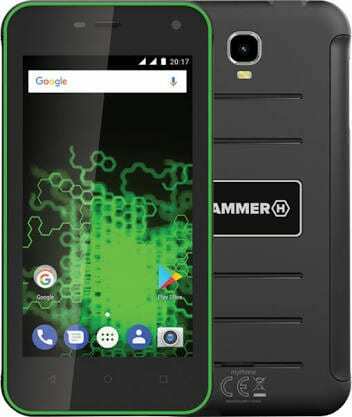 Want to know more about the MyPhone Hammer Active? Stay with me. What is MyPhone Hammer Active Price and Availability Status? It doesn’t look like a rugged smartphone from afar, but the device is as strong as steel. Sports a plastic overall body and offers water and dust resistant. A very portable smartphone, you can easily hold it and no one will have a clue you’re holding a smartphone. Th features at the back is pretty simple and standard, the rear camera comes first at the top. While the LED flash sits underneath, followed by five sleek lines and Hammer logo. Turning over to the sides, it measures 10.8mm in thickness and built for a perfect grip. Weighing 186g and available in Only Black color, with either Orange or Green finishing. I think the bezels here might as well be higher than the screen, as it dishes out a very compact display. Three navigation buttons sits at the bottom bezel, while the top houses the usual features, even the narrow bezels came out to play as well. The 4.7-inch HD IPS capacitive touchscreen might be too small for some people in 2018. But if you’re a small screen lover, there shouldn’t be a problem here. The screen boasts of 1280 x 720 pixels in resolution and 312 pixel per inch density, thanks to its compactness. Protecting the screen is a Corning Gorilla Glass 3 as it stretches up to 56.1% screen to body ratio. Running the race here is the MediaTek MT6580 chip with Quad-core processor and 32-bit CPU architecture. The 4-cores of processor reaches a maximum speed of 1.3GHz with a 28nm process technology as well. Handling graphics is the ARM Mali-400 MP2 graphics processor that comes with 2-Cores and clocks at 416MHz. Multitask through light apps with just 1GB of RAM space available, boasting of a memory speed of 533 MHz. While for storage, there’s an 8GB storage space which is upgradeable up to 32GB with microSD card. The MyPhone Hammer Active runs on Android 7.0 Nougat operating system. The 8MP rear shooter on the device captures 3K resolution images with ease. The camera comes with a LED flash and other features like optical zoom, self-timer and the rest, being able to take photographs with 3264 x 2448 pixels in dimension. For taking selfies and making video calls, the 2MP front shooter is always ready. Powering the MyPhone Hammer Active is a 3000mAh non-removable Li-Po battery with no fast charging technology. Without the fast charging feature, it shouldn’t take up to 3 hours to fully charge up the battery from 0% to 100%. The MyPhone Hammer Active is available on Shopping stores starting from $149 (N40,000) to $199 (N60,000). Click on the links above to view the latest MyPhone Hammer Active price & availability. I love everything about this HAMMER. Though, the 1GB RAM looks a bit on a low side. Notwithstanding, it’s still a good buy.